Bentek Solar, manufacturer of a broad range of products connecting PV panels to inverters worldwide for the residential, commercial and utility-scale marketplaces, has received a patent for the Bentek Multiple Disconnect Safety System (MDSS) patent number 8,687,348. For more information about the capabilities of the MDSS and the patent it has received, please contact Bentek at 1-866-505-0303 or on the web at www.BentekSolar.com. 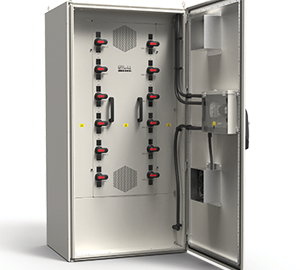 Bentek Solar continues to add to its broad range of residential, commercial and utility-scale safety systems with the new 1000VDC Utility-Scale FDSS 2. 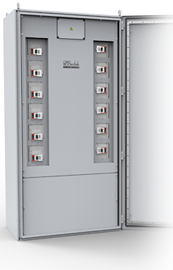 The FDSS 2 builds on the success of the FDSS 1 by providing customers with up to 24 inputs with a total system capacity of 4800 Amps.The FDSS 2 also complies with the NEC 2011 disconnect requirements ensuring customers safeaccess to service inverter fuses,” said John H. Buckley, Executive Sales and Marketing for Bentek Solar. 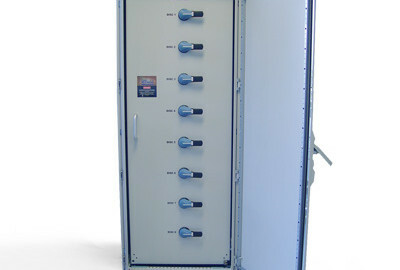 • Common output hardbuss bar for easy installation with utility-scale inverters. For more information about the capabilities on the FDSS 2 please contact Bentek at 1-866-505-0303 or visit www.BentekSolar.com. Bentek Solar and Borrego Solar Systems, Inc., a leading financier, designer and integrator of commercial PV solar systems, today announced the extension of their supply agreement and first customer shipments of the Bentek Breaker Universal Safety System (BUSS) and ungrounded string combiners.